Hello. 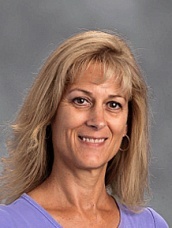 My name is Karen Nelson and this will be my fourth year teaching at Notre Dame. I earned my Bachelor’s of Arts in Liberal Studies for Elementary Education at California State University, Long Beach. I am currently enrolled at Grand Canyon University and working on my Master’s Degree in Elementary Education with Licensure. I am fortunate to be co- teaching middle school English, Literature, and Religion again this year with Mrs. Olson. I am honored to be helping our 7th-grade class prepare for the Sacrament of Confirmation. My husband, Kelly, and I have been married for 31 years. We have a son, Jacob, who is in the 8th-grade this year at Notre Dame. Some of my hobbies include sewing, gardening, painting, reading, and caring for our animals. My name is Kate Smith and I am honored to be the 7th grade homeroom, science and technology teacher at Notre Dame. As a parochial student myself I find such depth and excitement in the opportunities that Notre Dame offers. I received my Bachelors degree from Sacramento State in 2000. I furthered my education by attending National University where I received both my Multiple Subject Credential and my Master’s degree. I taught in the public school sector for almost 5 years before taking a leave of absence to raise my children. During that time I remained in the field by substitute teaching in the Vacaville Unified School District. In my free time I spend it revolving around my three children (Ty, Chase, and Reese). As student’s at Notre Dame themselves, I have enjoyed seeing how being a student here is changing and molding their futures. I am extremely passionate about education and believe all children can succeed in becoming life long learners in faith and education. Hello! 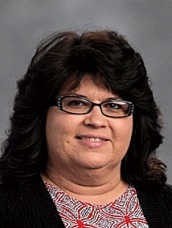 My name is Karen Mraz and I have been teaching at Notre Dame School since 2007. I feel truly privileged to be the Eighth Grade Homeroom Teacher. 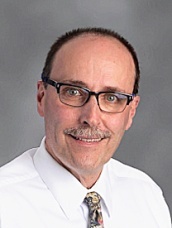 In addition to being the Eighth Grade Homeroom Teacher, I also teach Eighth Grade Religion; Seventh and Eighth Grade English; and Sixth, Seventh, and Eighth Grade Social Studies. In Sixth Grade we focus on Ancient Civilizations, move to Medieval History in Seventh Grade and finish out Eighth Grade with U.S. History. In English, we work on both grammar and writing skills. I especially enjoy helping our young people understand the Catholic faith. I earned my Bachelors of Arts Degree at California State University, Sacramento and went on to receive my California Clear Multiple Subject Teaching Credential at Chapman University. I have always enjoyed working with children and have been doing so since I started teaching Catechism Classes at St. Mary’s Parish as a teenager.I grew up in Vacaville and have been a member of Saint Mary's Parish for well over 30 years. The Notre Dame community is very important to me. All three of my children attended Notre Dame from Kindergarten through Eighth Grade. I grew up in New Jersey. After high school, I went to culinary school and earned my degree in culinary arts. I moved to California in 1977 to go to college. I earned my BS in Computer Science with a minor in Mathematics from the University of San Francisco. I began teaching at Holy Spirit Fairfield in 1984 and have been at Notre Dame Vacaville since 1992. I also own and operate Math Masters Learning Centers. Welcome to 6th, 7th, & 8th grade Mathematics! I enjoy teaching Math very much. My first priority is for you to enjoy my class. It goes by so fast, just ask anyone at school. I start class every day with a riddle or thinking skill designed to be fun! Your job is to be an aggressive learner. Make me work too!! Yes, I get to work with you for three years in a row. I find it very rewarding to take you from Basic Math through Algebra (Math 1). We will both work together, just like a coach, to prepare you for High School! My name is Maureen Jackson and I have been teaching at Notre Dame since 2009. I am looking forward to a wonderful and exciting year. A little bit about me: I received my Bachelor’s degree from CSU Sacramento. My Bachelor’s is in Business with a concentration in Accounting. Then I decided to go back to school and earn my Clear Multiple Subject Teaching Credential from Chapman University. I decided to continue my education by completing my Masters in Education in Curriculum and Instruction to better serve my students. I truly enjoy teaching and learning. I taught 4th grade for many years here at Notre Dame and now I am teaching grade level math for students in grades 6, 7, and 8. I am very excited to join the middle school team and teach math. As a teacher, I try very hard to help each student reach his or her full potential. I want each one of them to do their best and take pride in their learning. I am very passionate about lifelong learning, and I strive to model and instill that passion in my students. I encourage my students to be lifelong learners and embrace their education because I am always learning from them. When not teaching here at Notre Dame School I enjoy spending time with my family and with our horses here in Vacaville. My family and I attend St. Mary’s Church where we have been long-time parishioners. It’s such a privilege and a joy to work here. God Bless! !